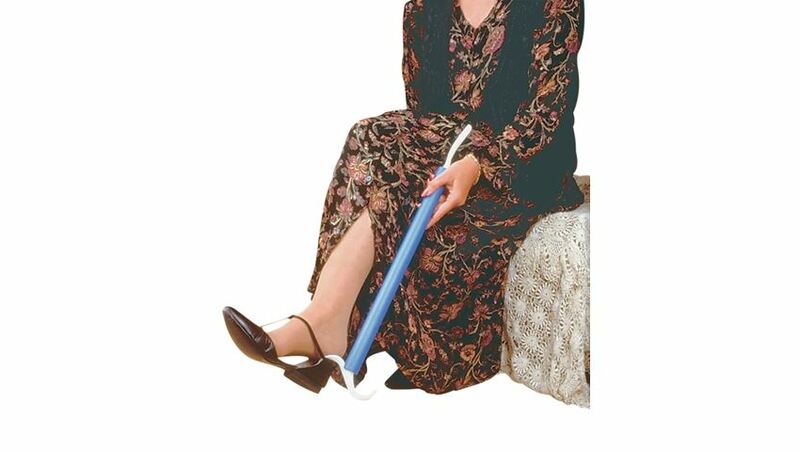 Dress EZ with large, 1" diameter soft foam handle. 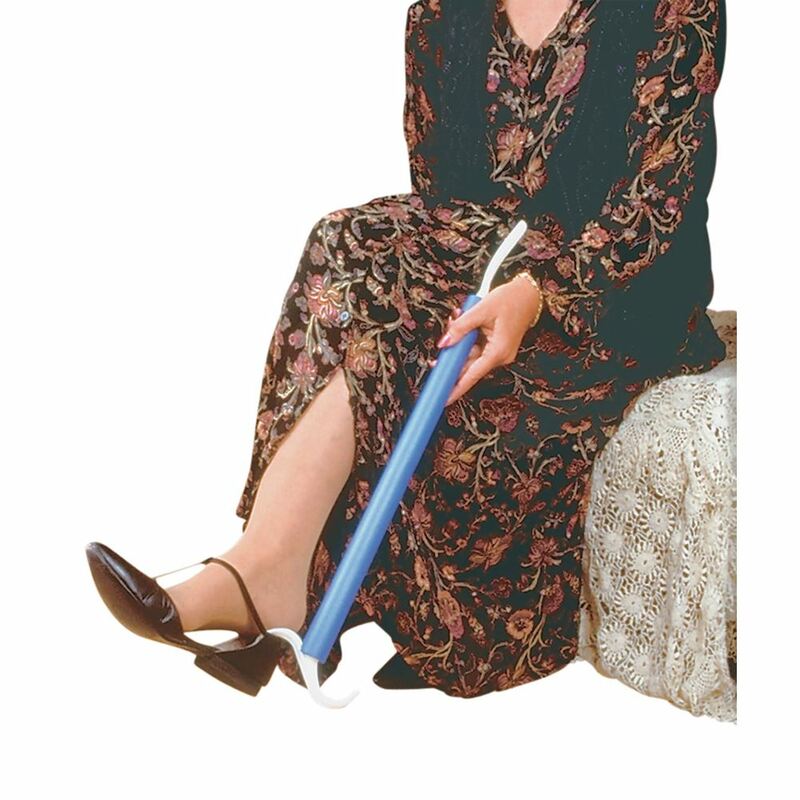 Two functions: a dressing aid and a shoe horn. Smooth surface and rounded edges.